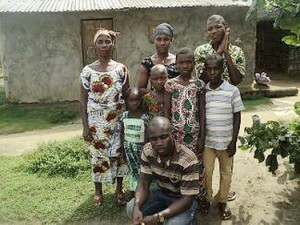 Today, I am thinking of all our dear friends in the Buduburam Refugee Camp in Ghana. How I wish I could do something more for them … just because it’s Christmas! I decided to make A CHRISTMAS WISH LIST …. I wish we could help Korpu to go back home to Liberia and resettle before Christmas. She is a single mother with a 5 yr. old daughter. The cost for her bus fare is $ 250. Her daughter could go for $ 125. I wish we could buy bags and bags of rice for poor families and especially for our elderly widows. At Christmas we like to add more items to the widow’s packs. More soap, more salt and more oil. I wish we could buy clothes for all our Hope Home Children, and all the children in our Care Homes. I wish I could find a sponsor for Felecia, and her little girl. $ 50 per month. I wish I could buy 100 pairs of shoes for the many who need new shoes. D. Buy a pair of shoes. Cost is $ 20.00 Peter lives in the refugee camp. Like everyone else there, he is very poor. How will he celebrate Christmas? He would be so happy for a new pair of shoes. 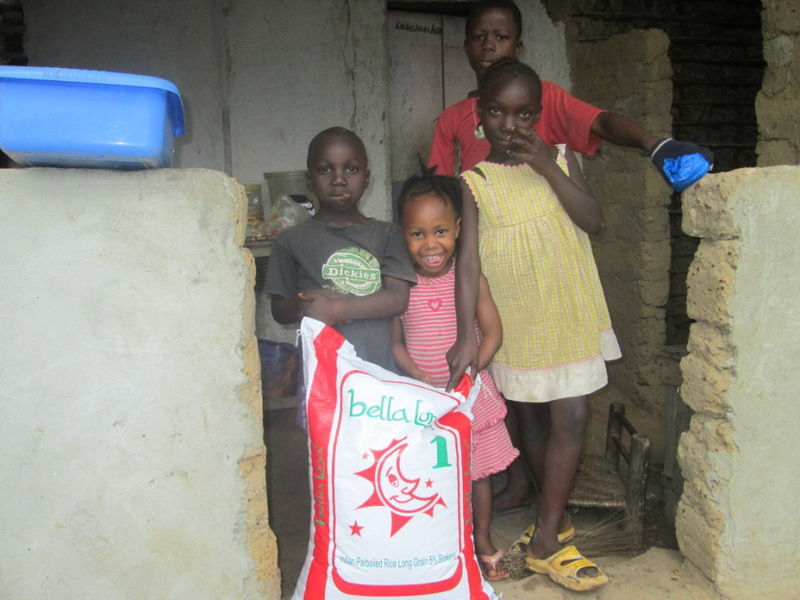 We definitely want to buy clothes for all our children in our Hope Homes. In the photo below Eric Gbour, one of our Hope Home dads, is checking out the bags of used clothing. He said he is “window shopping” … and dreaming of course. 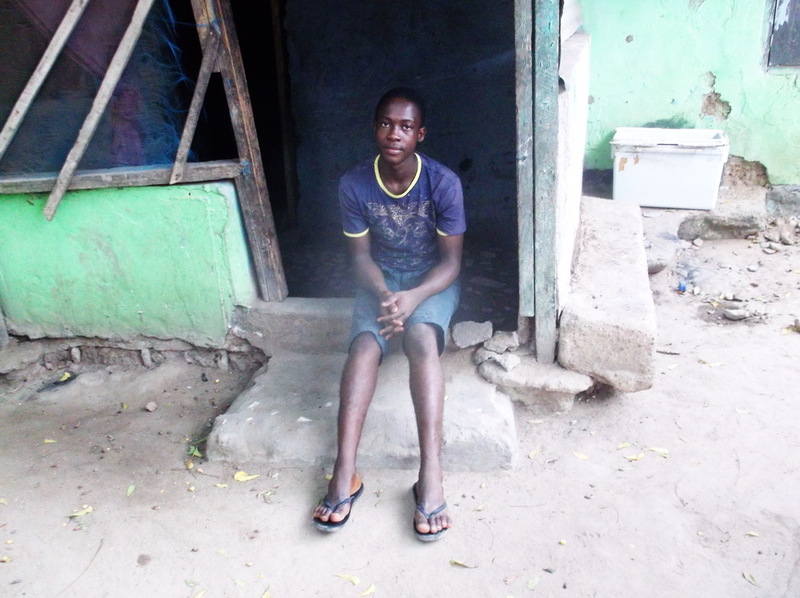 We rely on donations at Christmas to buy clothes for the children. 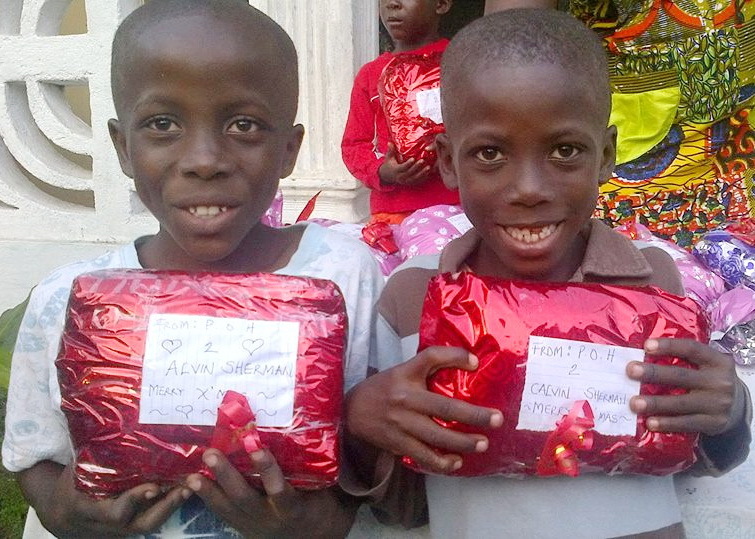 Alvin and Calvin are showing the Christmas gifts they received last year. 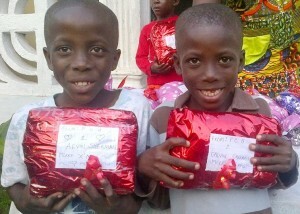 These boys were rescued from extreme poverty. They are now part of Eric and Kamah’s lovely family. I’m sure they will be hoping for presents again. $ 30 buys a set of new clothes. 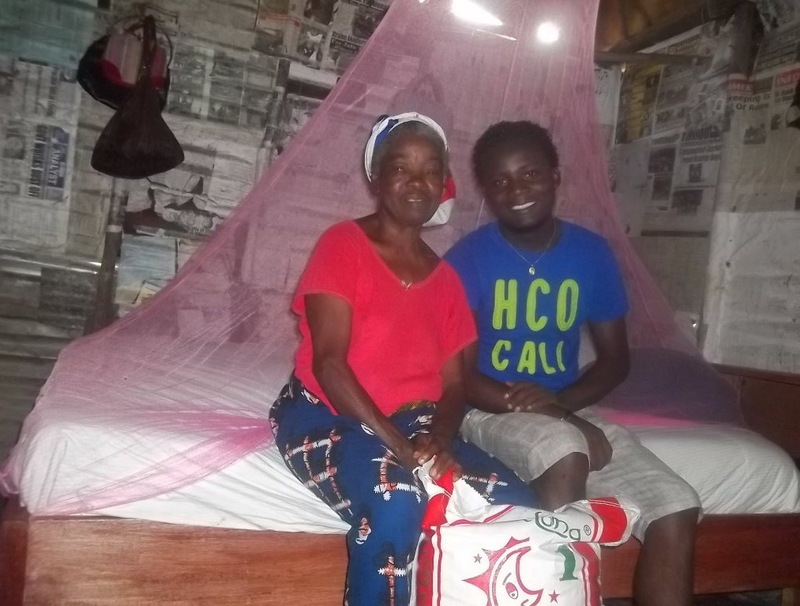 One more wish … I wish we could make more beds for widows who sleep on the cold floor.